The recently published monthly average mobile broadband speed data by the Telecom Regulatory Authority of India (TRAI) for February shows that the download speed on Jio network was the fastest network during the month. Although Jio’s speed declined marginally to 16.48 mbps from 17.42 mbps in January, but still Jio’s speed was almost double of its nearest rivals Idea Cellular (8.33 mbps) and Airtel (7.66 mbps). The download speed of Idea and Airtel was also dipped marginally during the time. The download speed on Vodafone and BSNL also dipped marginally to 5.66 mbps and 2.01 mbps respectively, while the average download speed on Reliance Communications, Tata Docomo and Aircel network was 2.67 mbps, 2.52 mbps and 2.01 mbps respectively. TRAI’s speed test data is based on the real-time mobile subscribers data collected by MySpeed application. 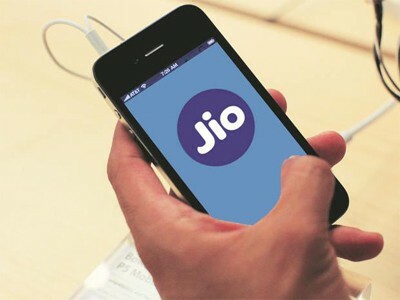 Questioning Ookla’s Speedtest methods, Reliance Jio had also filed a complaint with the Advertising Standards Council of India (ASCI), requesting it to take action against the new Airtel advertisement. Although Ookla stood by its findings, ASCI, however, has found Bharti Airtel’s advertisement claims of “officially India’s fastest network” misleading and has asked Airtel to modify or withdraw the commercial by April 11. Airtel has contested ASCI’s decision and now with this new TRAI speed test data to vouch for Jio’s speed, it seems that the battle between the two majors is far from over.